Engineered to test for compliance with ESD standards. The ESD-2000i is the solution to manufacturer's concerns about system level immunity. 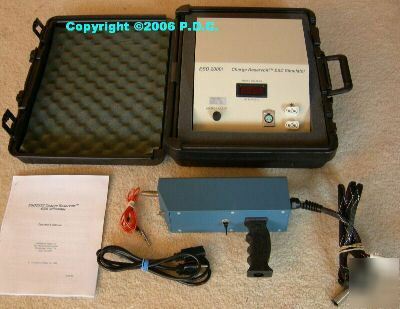 Utilization of the latest ESD technology, including Compliance Design's Charge Reservoir, has yielded sub nanosecond rise times for contact discharge events in strict accordance with IEC standards.In addition, the ESD-2000i can easily produce either positive or negative discharges at voltages as high as 25kV in a variety of human models.